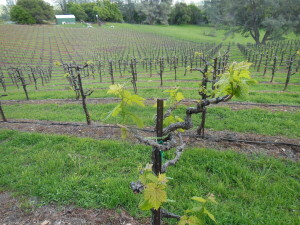 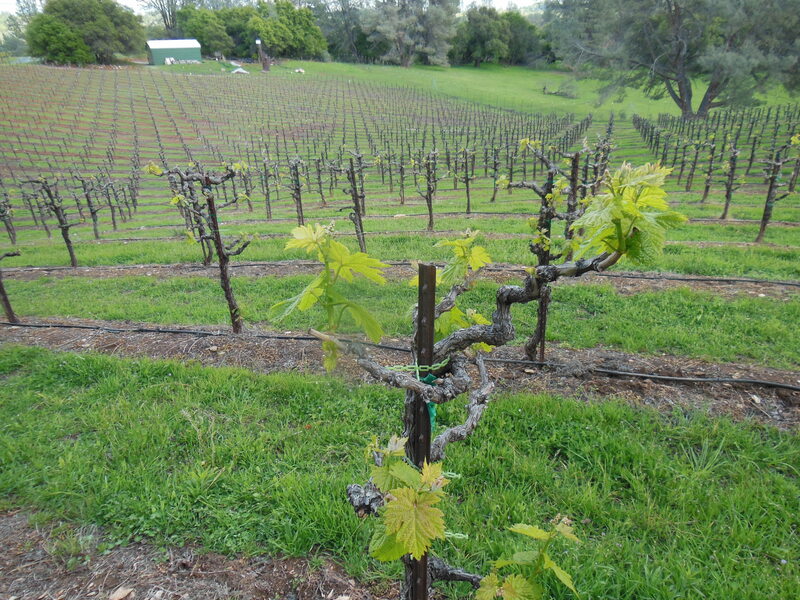 Budburst in 12-yo primitivo vines on our back hilltop, 4-4-14. 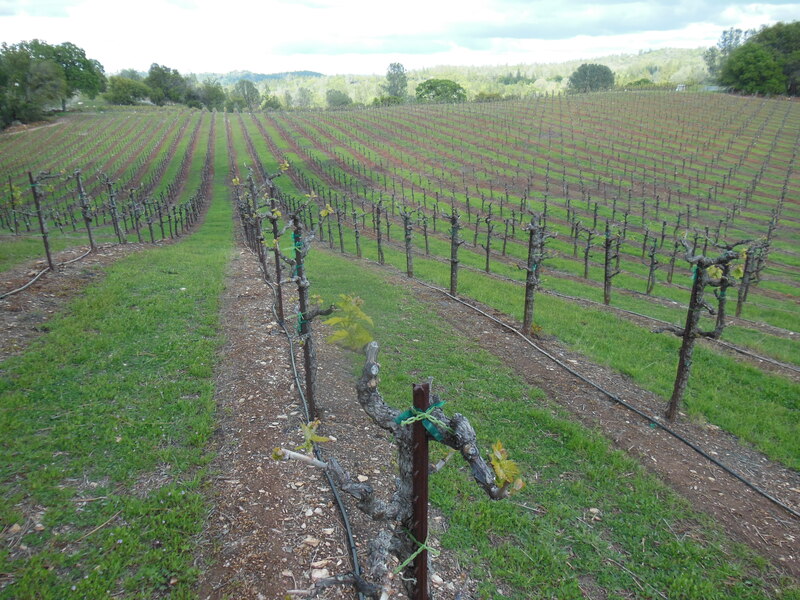 Long view of primitivo vineyard at budburst, 4-4-14. 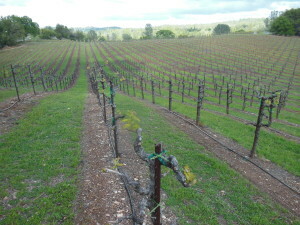 The schist-containing soil of back hilltop is evident in foreground.